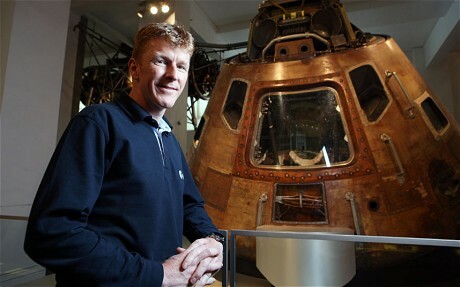 Timothy Peake, a member of the ESA astronaut training corps will be among those preparing for a crew mission to an asteroid (Credits: Andrew Crowley). Asteroids are hot commodities of late. Not long after Planetary Resources Inc. announced their intention of mining asteroids for profit, word comes that NASA will soon begin training astronauts for missions to an asteroid. “With the technology we have available and are developing today, an asteroid mission of up to a year is definitely achievable,” says Major Timothy Peake a participant in the training and the first Eureopean Space Agency astronaut trainee from the United Kingdom. The training will include vehicle operation, spacewalks, and sample gathering for an asteroid mission. Asteroids differ significantly from lunar landing sites due to their reduced gravity and rubble-like surfaces. Asteroid missions are seen as a potential stepping stone to Mars as well as of scientific value in themselves. Asteroids give insight into the formation and evolution of the solar system. And, occasionally, they can pose a threat. According to a report by The Telegraph, details of a potential crewed asteroid mission will be revealed by NASA at a conference in Japan in May. The Japanese space agency JAXA remains the only entity to have landed a spacecraft on an asteroid during the Hayabusa sample return mission to Itokawa.